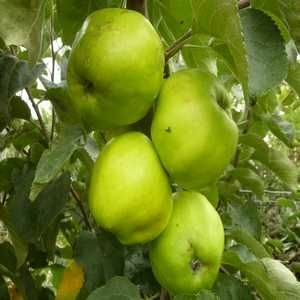 Captain Broad - Cider Apple Tree £12.75 - Cider Apples - Bittersweet Apple Trees and Fruit Trees For Sale. Buy at competitive prices with wholesale discounts. Formerly known as Small’s Admirable, this old dual purpose apple has been widely grown for cider in the Fowey region of Cornwall for up to 150 years. The trees are vigorous and spreading with large, irregular Bramley-type fruits, sweet with mild tannin. It has a reputation as one of the best old Cornish cider varieties and will grow from ‘pitchers’ - cuttings with burr knots.